Our GroupGets team attended the annual international Consumer Electronics Show (CES) in Las Vegas this month. After logging over 10 miles per day of walking, we barely covered 10% of the whole show. For us it wasn't about the big name booths and attractions - we wanted to check out some startups and the next crop of crowdfunding rock stars like Bluesmart, Keyport, and Pine64. The week-long trade show incorporated every tech gadget and function one could dream of. 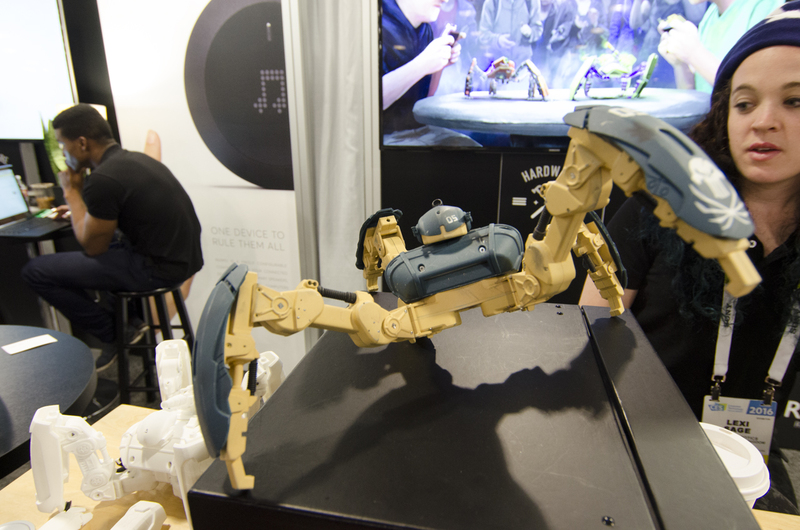 From wearables to the much-hyped virtual reality, it was all there and largely forgettable. CES is actually more about making lasting relationships. Some highlights included running into our fellow Santa Barbara tech companies. TrackR is a homegrown favorite who created a small, coin-sized attachable device that will help you track your stuff. They are rapidly growing and innovating, especially with their new Atlas project that even got a nod from the Amazon CTO during the show - nice one! Another team favorite is Keyport, a Las Vegas startup who has redesigned keychains to make them more efficient and way cooler to use. The entire GroupGets team is now carrying custom Keyports with LED flashlights, USB drives, and more. Recently, Keyport teamed up with TrackR to add their locator system into the custom modular multi-tool. Keyport launched their Kickstarter drive last week and already reached more than their $100,000 goal! Aimee from Keyport was tracking their success during CES. Another highlight of the show was meeting the lively Pine64 co-founder Johnson Jeng who graciously gave us a Pine64 to take home. The Pine64 Kickstarter is currently over $1M! We can assure you that the board boots (ours had Android pre-loaded) and works! We are currently working on porting our custom FLIR Lepton modules to the platform, among other things to be announced later. Below are some pics of the Pine64 board, one having our classic Lepton breakout plugged in. We are very much looking forward to working with their talented team. Of course, we spent some time with our friends at FLIR Systems, who also have a Santa Barbara office. We must hand it to them, they put together a very captivating live-narrated video of wild mountain lions in Casey Anderson, @Grizanderson's, Montana backyard. It was a great example of what's cool in thermal imaging. 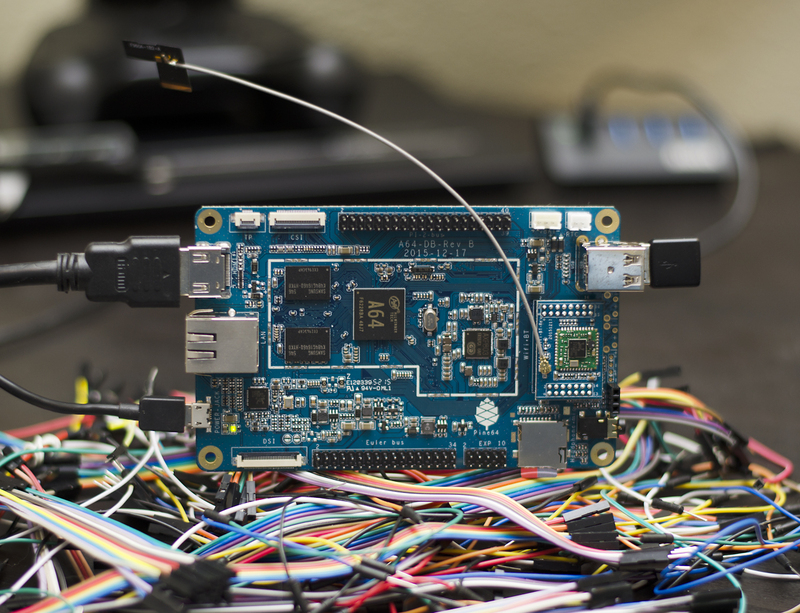 An interesting hardware-centric accelerator that we came across was Hardware Club. We got to speak with one of their team members and a few startups in the club such as Flic and Reach Robotics. Below is a pic of one of Reach's robots that users get to fight against one another with. A fun and interactive booth to visit was Los Angeles-based RideBlock. 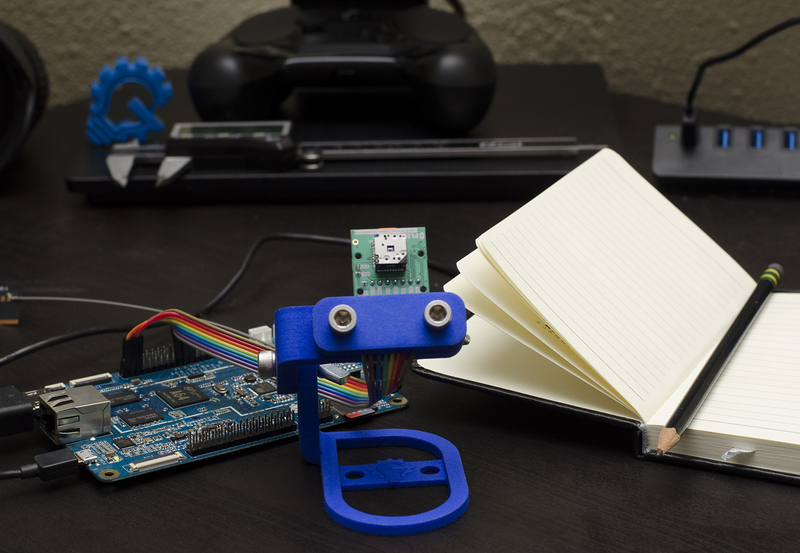 Their device attaches to skateboards and tracks rides, tricks, and more. Our CEO caught a little air to demo the product. 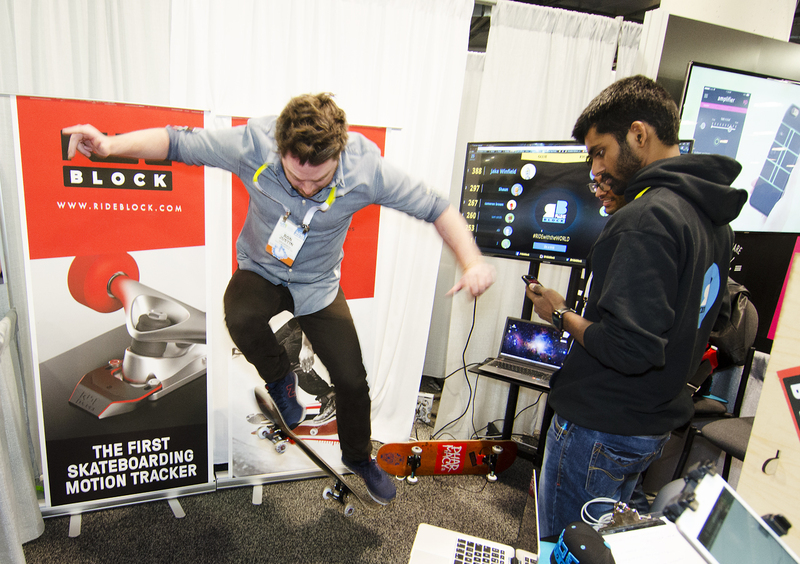 Crowdfunding had a HUGE presence at CES. 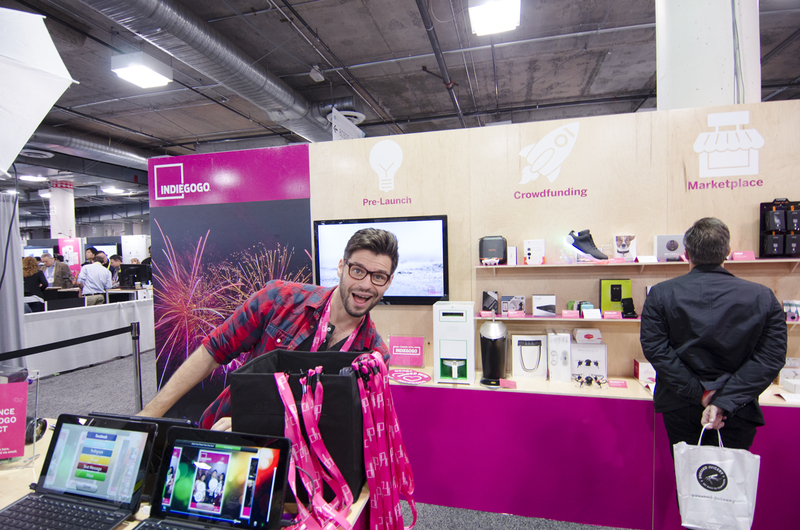 IndieGoGo had a large block of booths and we spent a few minutes getting to meet the friendly members of their team. It wouldn't be CES without an eclectic tech party. The GroupGets Team attended a party hosted by Zappos. Among kale tacos and industry veterans, there was also a real live llama to pet and take photos with. He didn't look too pleased though. Maybe nobody brought him any of those delicious tacos. Hats off to another successful CES conference in Las Vegas. We'll see you next year!